For some people, the arrival of Spring is when they can see flocks of Robins alighting on lawns and fields. For others, it’s when they can capture swarms of Glass Eels swimming up streams and rivers. A favorite spot to do the latter is the mouth of Patten Stream, shown below as it looked Wednesday (March 27). 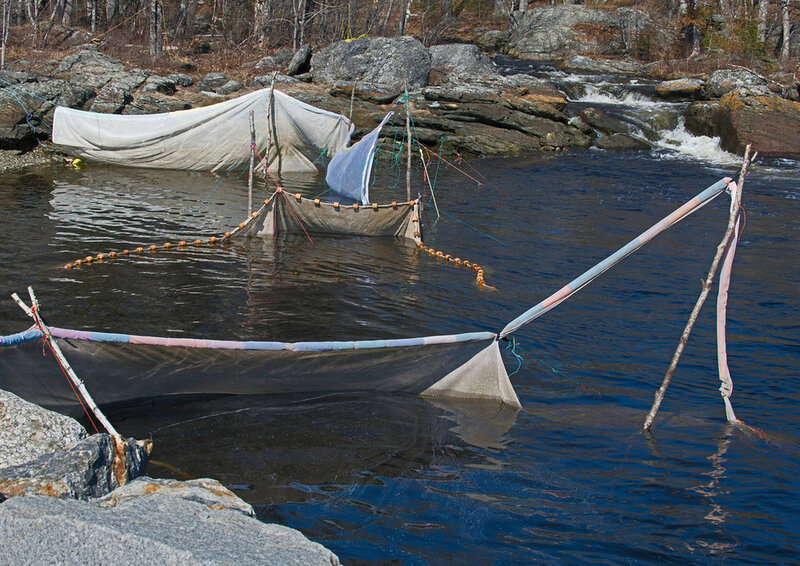 They’re harvested here during their March 22-June 10 Maine fishing season, usually by Fyke (“fick”) nets, which are fine-mesh funnel traps that end in a cylindrical netting bag. Most of the trapped Elvers are air-shipped alive in special containers to Asia, where they’re raised to nontransparent adulthood and then sold as delicacies.